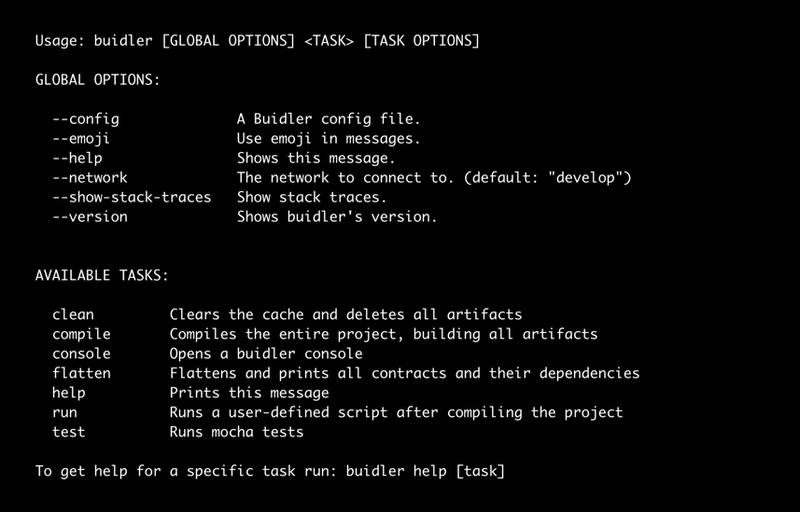 Buidler is an extensible developer tool that helps smart contract developers increase productivity by reliably bringing together the tools they want. Take a look at our vision post or head over to Github to learn more. 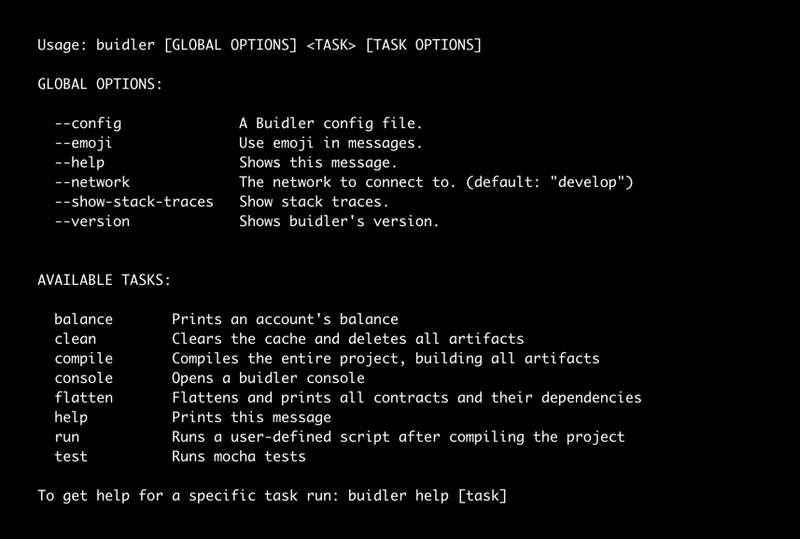 In this guide, we will explore the creation of tasks in Buidler, which are the core component used for automation. For a general overview of using Buidler refer to the Getting started guide. The default list of tasks from a fresh Buidler installation. We will require the plugin and add our task creation code to the Buidler configuration file, which is always executed on startup before anything else happens. It’s a good place to create simple tasks. If your task is more complex, you can put it in a separate file and require it, or if you’re writing a Buidler plugin that adds a task, you can create it from a separate npm package. Learn more about creating tasks through plugins in our How to create a plugin guide. For any questions or feedback you may have, you can find us in the Buidler Support Telegram group. Check out Buidler on Github. Join our read-only Buidler News Telegram group to stay up to date on new releases, plugins, and tutorials. Follow Nomic Labs on Twitter and Medium. We design, build and audit decentralized systems.